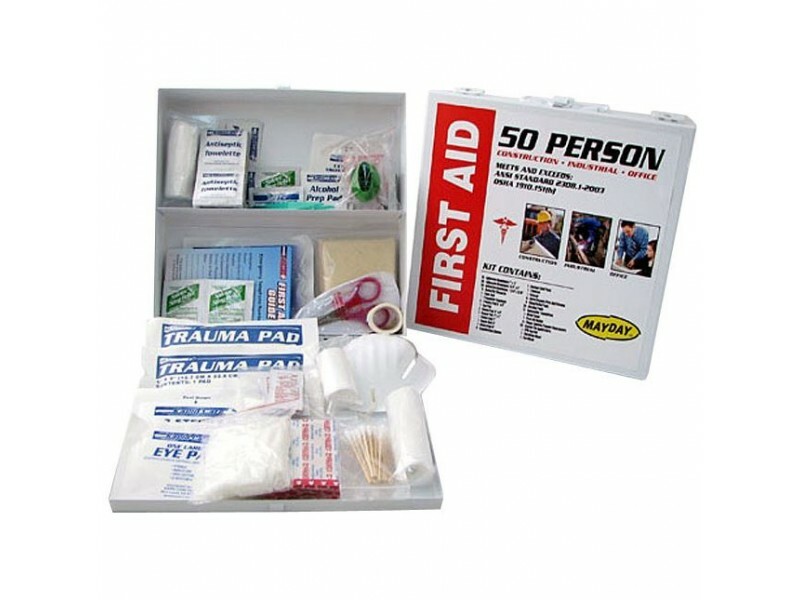 First Aid 50 Person First Aid Kit was designed to meet the needs of 50 people. It is packaged in a white metal case. It is perfect for indoor or outdoor storage. The durable case will hold strong in any conditions. 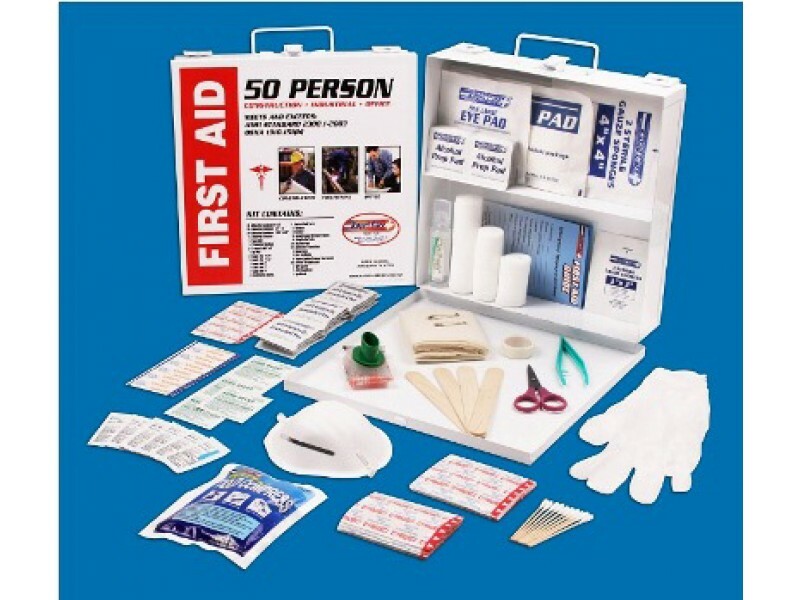 First Aid 50 Person First Aid Kit is a must for any workplace or any large group. This first aid kit was designed to meet the needs of up to 50 people. It is packaged in a white metal durable case that will hold strong in any conditions. It is perfect for indoor or outdoor storage. 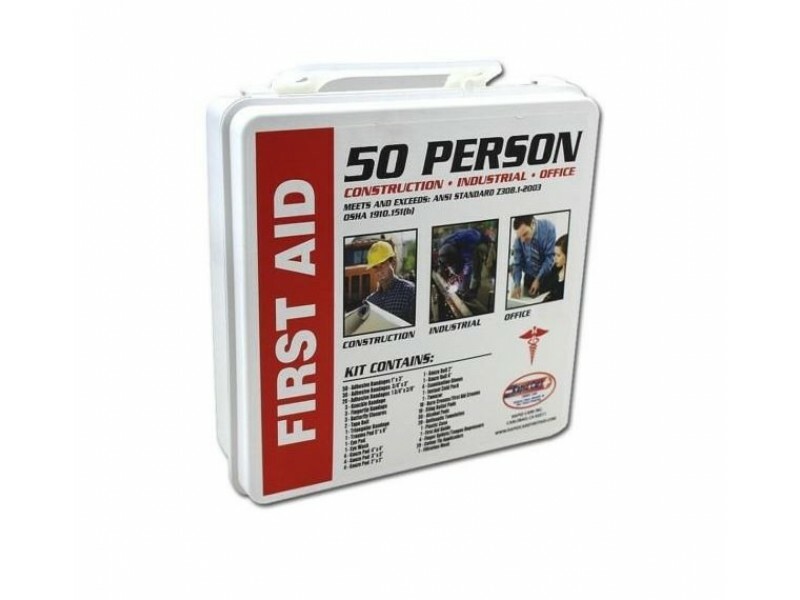 This 50 Person Metal First Aid Cabinet Kit meets or exceeds all OSHA and ANSI requirements for workplace safety. It is recommended for construction sites, industrial zones, factories and offices.The compact and water-proof ABS plastic case is easily transportable with convenient handle.